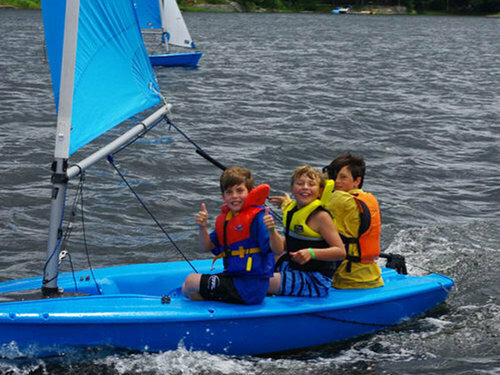 We are working with The Madawaska Club of Go Home Bay to provide a Sail Canada / Ontario Sailing certified program for Honey Harbour Day Campers. This will include the sailboats, coach boats and certified Sail Canada Instructors. In 2019 we will again offer Beginner and Intermediate Levels of CanSail 1 & 2. Although ages are flexible, Beginners should be aged 7 and up. For the Intermediate courses I expect we'll have teenagers as well. The sailing program will run the same time as Day Camp from 10am to 3 pm Monday to Friday. I'm asking parents to register (using the links below) for sailing as distinct from day camp so the two coaches can concentrate on sailing skills for those interested. 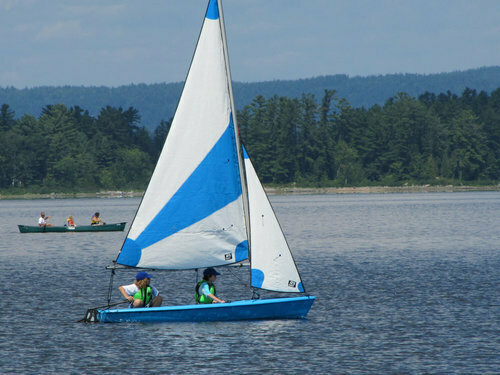 All campers will be given the opportunity to try sailing if they want to for part of one day. For further details, please contact me at al@alwill.ca or 905-869-8639. Sailing only happens twice this summer, so don't miss out on this exciting week of fun! Next page finds the box "Personal info"
Once you get into registration, look on the right side for "Register Now"